A quirky and stylish letter-writing set like no other. The accordion ('Jabara') writing pad is perforated along each fold enabling you to tear the pages to suit the length of your letter or note. The pages are faintly gridded, and this green set also feature 45 degree angles, to help you maintain straight lines and margins across missives of any length, from long letters to short notes. 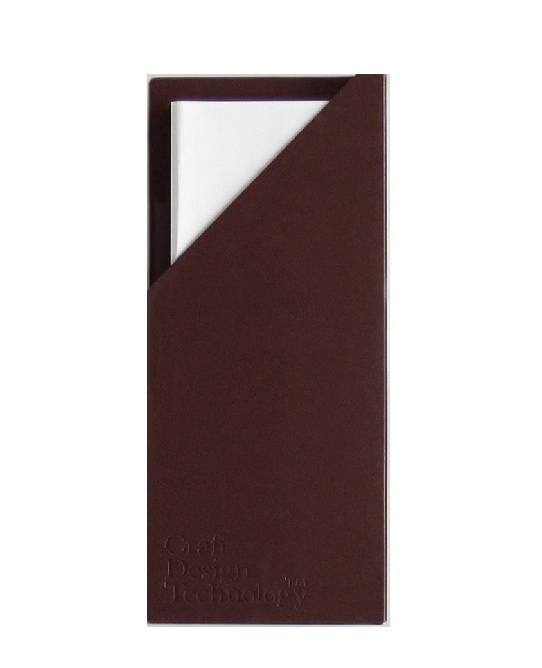 The set comes with 10 envelopes with an interior pattern inspired by the ancient Japanese textile Sanada-Himo. 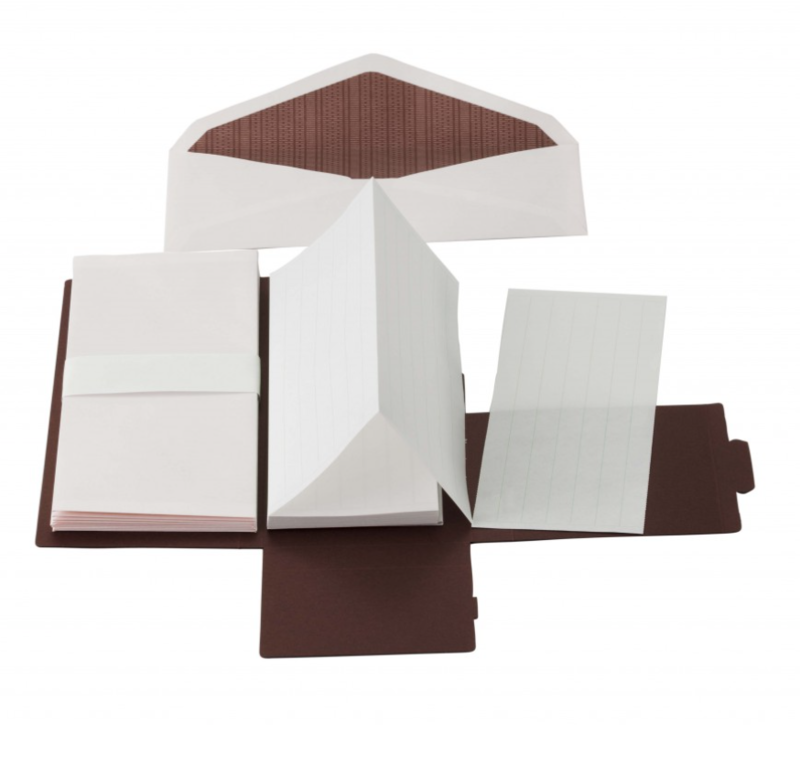 The whole thing fits into a brown compact cardboard holder making it easy to carry with you for correspondence on the go. The letter paper and envelopes are made for Craft Design Technology by the Haibara Paper Company who have been making high-quality paper in Japan since 1860. 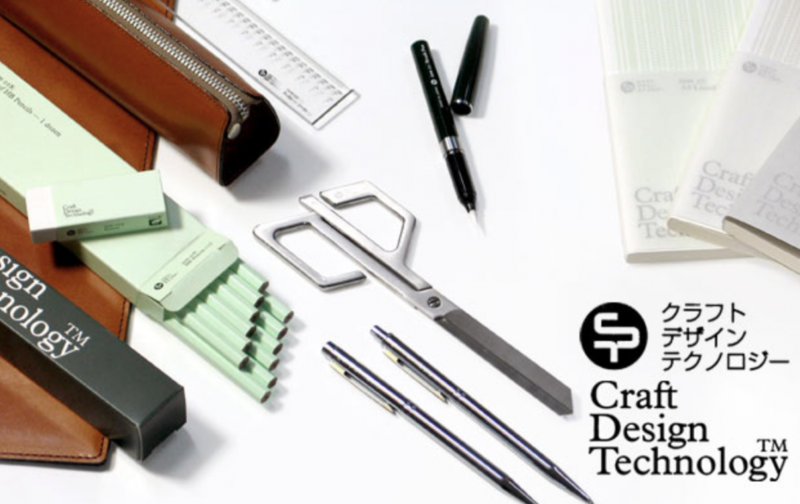 The letter case is made by Lion, who have been producing stationery products since 1792. This particular set has faintly printed lines in light green and light pink envelopes.